dhamma musings: Crazy Wisdom Or Just Crazy? I'll add to this that in Chan/Zen Buddhism there is a similar notion: 'subtle function' (miaoyong 妙用), which is where the master uses unlimited forms of skilful means to enlightened his students. So, cutting off fingers, breaking limbs, smacking people with a stick and so forth are all seen as profound methods of liberation. To challenge it is to reveal one's ignorance as they claim their teachings go beyond letters and words. Predictably this had led to questionable behavior even in the west that was later justified as skilful means. The most "skillful means" in Buddhism, and the ONE criteria to judge those enlightened teachers, is the ability to give away one's possessions and live basically. As far as I see it, all the prominent "abusers" of the past and present stuck to money and wealth somehow. This is not to say that there is no misdeed within the poor, such is just not talked about enough. The reason for common misdeeds in temples is the celibate. Almost nobody is able to stick to it on the long run. I don’t know whether I would have tried to become Trungpa Rinpoche’s student or not. It is a difficult choice and it takes quite a bit of close examination (from both parts involved). What I can say is that, I have some trust that he was a great master and yogi. Let us (at least as a working hypothesis) assume that he was a great meditator yogi. He could have stayed on his own in a quiet place, enjoyed the company of his own meditative accomplishments, with the support of a traditional Buddhist community of devoted, well-informed, and properly behaved Tibetan followers. 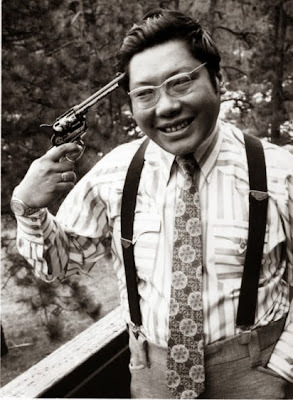 As a Trungpa Tulku, he had a respected position within the Kagyu lineage. Instead, Trungpa Rinpoche travelled to uncomfortable places, taking up very difficult students and a lifestyle that curtailed his life-span. 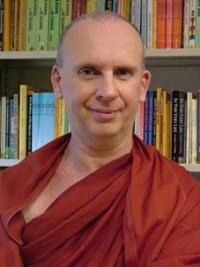 He created one of the most stable traditions of Buddhist learning in North America, thanks to which many English readers have been able to access reliable and genuine Buddhist teachings for decades (please look at the Shambala Publications catalogue). On top of that, Rinpoche insisted that what should be steadily established in the US is a lineage of Śrāvaka teachings, through which Americans could obtain the basics of Buddhist practice and make the Dharma flourish. 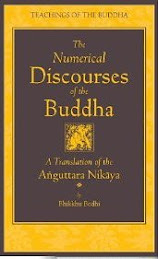 He encouraged the translation and publication of works even related to the specific Theravāda lineage of Buddhism. But for himself, he was kind enough to take up difficult people as his students, inviting trouble and slander by taking up whichever necessary behavior would help taming the students’ minds. Although it is always hard to evaluate benefit and harm, it seems to me that here the benefit was immense. From a Buddhist perspective, he made a well-spring appear in the desert. Teachers and students are after all interdependent. The teacher is a conventional appearance largely dependent on the propensities and perceptions of the students; when we try to understand the perceptions that arise in the interaction of Dharma teacher and student we are abstracting a few impressions from a very personal experience between the two. This is particularly true within the Mahāyāna, where perceptions and appearances are flexible and not so fixed. Therefore, although I will never be certain about anyone’s so called ‘morality’, Trungpa Rinpoche still proved himself to be a genuine Nirmāṇakāya (Trulku – which means a beneficial ‘emanation’) through the legacy of profound writings on the Dharma that he left, and through the legacy of a world-wide organization that (as far as I know) promotes the study and practice of reliable Buddhist teachings. Besides, I am afraid that Bhadanta Dhammika is here confused about an important point. According to traditional explanations, ‘crazy wisdom’ does *not* at all prove that the master has any realization. *Rather* the master must be able to convincingly show that what he does is in fact beneficial wisdom, either by demonstrating indubitable benefit, or by demonstrating extraordinary siddhis (like mind-reading, walking through walls, etc.). The ‘craziness’ does not prove the ‘wisdom’, but rather, it is proven to be wisdom thanks to the exceptional qualities of the master, that remain apparent to the students. The concept, besides, is *not at all* unique to Tibetan Buddhism but rather it is inherited from India – as most if not all Tibetan Buddhist practices and ideas are. For some accessible (non-esoteric) sources, please read the Vimalakīrtinirdeśasūtra, the Aṣṭasāhasrikāprajñāpāramitā and the Gaṇḍavyūhasūtra. Bhadanta Dhammika’s concerns may well be justified. Yet, in my opinion, he fails to appreciate the proper background and context of the concept he is attempting to discuss. Becoming acquainted with the relevant textual traditions is a reasonable effort when we try to understand the behavior and method of masters from a different background – especially when we intend to criticize them. Hence, I would like to politely – but strongly – disagree with this assessment of Trungpa Rinpoche. This is seriously at odds with the traditional approach to ‘crazy wisdom’. 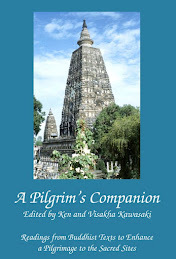 The proper interaction between Vajraguru and student is discussed at length in the Gurupañcāśikā, available in English translation. When the teacher asks the student to do anything that seems at odds with the Dharma, it is the student’s duty to ask for an explanation; and if the explanation is not convincing, the student can very well refuse. There is, indeed, ample room for critical examination and independent decision. In the Tibetan tradition, nobody (I know of) believes that someone is entitled to ‘crazy wisdom’ just by virtue of being a Tulku. That would be absurd. Dear Gui Do, sexual misbehaviour is by no means the only, the worst or the most telling indication that something is wrong. In some cases “Dharma groupies” are only too happy to make themselves available for tantric teachers. In The Double Mirror: a Skeptical Journey into Tantric Buddhism Stephen Butterfield, who spent nearly twenty years in Trungpa’s inner circle, describes how he would humiliate students in front of others, book no disagreement or criticism, require to be treated like royalty and had his own private uniformed and armed bodyguards. In one place Butterfield describes how Trungpa’s dinner table had to be set, the placing of the cutlery, the wine glasses, the cut flowers, etc. The slightest error in the arrangement, the smallest crease in the napkins, and there would be hell to pay. Apparently, Trungpa’s “staff” were in a state of constant anxiety that things might not be right. To me it is these sort of things that make all the rhetoric about “radiant mind”, “cutting through spiritual materialism”, “transcending the neurotic mind”, “resting in Bodhicitta”, etc., sound rather hollow. And it makes austere old Theravada with its insistence on simplicity and its dull old Five Precepts look rather attractive. Dear Ko Sa, thanks for the correction. I am aware that the crazy wisdom tradition has its roots in India but simply coming from India does not necessarily impart legitimacy. There are some aspects of Indian spirituality that few people would be comfortable with today, e.g. the aghori tradition. The point is not geographical origins but adherence to Dhamma. You are quite right in saying that my most serious problem with crazy wisdom is “seriously at odds with the traditional approach to crazy wisdom”. But crazy wisdom finds no endorsement in early Buddhism which is, after all, where all subsequent streams are derived from, and there is not much in Mahayana that could support some aspects of it either. Many Chinese monks I know look upon tantra with the strongest disapproval. This criticism is, after all, exegetical. It has worth and value if and only if one does not believe that the Mahāyāna Sūtras and the Tantras are ‘Word of the Buddha’. On the other hand, a Vajrayāna practitioner is such on the premise that both the Sūtras and the Tantras have as much legitimacy as the Śrāvaka Piṭaka. The flaw in your criticism, in my opinion, is that you are measuring Trungpa Rinpoche’s according to the textual traditions that *you* consider most genuine, rather than according to the textual tradition that Rinpoche (or Mahāyāna students like myself) would consider Buddhavacana. You are saying that ‘crazy wisdom’ is not compatible with Buddhism, without specifying *which* Buddhism you are referring to (and, forgive me for saying so, yours is after all just one among many possible positions about textual authority). In other words, your criticism would make more sense as a criticism of the legitimacy of Vajrayāna (and Mahāyāna) as a whole, rather than as a-contextual criticism ad personam. If you do not consider the Tantras as Buddhavacana, the best course of action is (very simply) not to follow a master from that tradition. To criticize a Vajrayāna master for employing methods compatible with his/her own understanding of the Dharma is, to my mind, problematic. 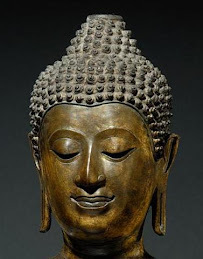 You should rather simply state that Mahāyāna was not taught by the Buddha and that therefore its followers are not genuinely Buddhist – a straightforward position upheld by many Theravāda scholars, which I find very reasonable in its own way (although of course I would disagree). Dear Ko Sa, my post concerned crazy wisdom and as I’m sure you are aware, not all tantra includes crazy wisdom. I consider all streams of Buddhism - Theravada, Mahayana and Vajrayana - to be legitimate expressions of Dhamma, an exception being a 20th century Japanese cult that claims to be the only true Buddhist. But the question remains – without resorting to unprovable claims by traditions, gurus or their devotees, or appealing to ancient texts, how is one to know whether behaviour that contravenes basic and widely agreed upon standards is “a teaching” or just immoral? What make one persons alcoholic intoxication commonplace drunkenness and another’s “spiritual”? Well, I will expand upon my previous answer. To display 'crazy wisdom', one must be able to display exceptional qualities which dispel any doubts about the beneficial qualities of one's actions. If one has that ability, then the craziness is likely to be wisdom. In case of Trungpa Rinpoche, witnesses report that after death he was able to remain in meditation for 5 more days (something accompanied by unmistakable exceptional physical signs that cannot be disregarded). If that is the case, it is difficult to doubt that he had an amazing level of inner accomplishment. You remember the story of Kumaarajiiva and the needles? Incidentally: the three texts I quoted above are Suutras, not Tantras, and they all give ample justification for unconventional behavior. In particular, please read the Sadaaprarudita chapter of the A.s.tasaahasrikaa, the story of the prostitute-teacher of Sudhana in the Ga.n.davyuuha and of course most of the Vimalakiirtinirdeshasuutra. I appreciate your kind and thoughtful answers and it's always a pleasure to read your blog. Thank you Bhante, KoSa, and others for a lively reasoned discussion. I'd like to point out that we have to be careful about dismissing Buddhist tantra completely just because some "Chinese monks [you know] look upon tantra with the strongest disapproval." I am doubtful about this as a correct reason for dismissing Buddhist tantra. As Shakya Indrajala correctly pointed out, Chinese Chan/Japanese Zen appear to have similar problems vis-a-vis "crazy wisdom". As a case in point, if we look to Je Tsong Khapa's (following Atisa) hermeneutical and practical integration of sutra and tantra,we might come to a different, more sympathetic view. Careful comparative study and grounded field research may help sort out the wheat from the chaff. Nothing like a bit of oxymoronic wisdom to brighten up the day. You know, over the years I have heard about lots of unusual and sometimes questionable practises ascribed to Buddhism and of course in the end the individual Buddhist seeker has to take at least some responsibility for any misbehaviour of controversial teachers such as Trungpa Rinpoche, not withstanding his considerable contribution to the Dharma's journey into the West. After all isn't the practice of the Dharma meant to enhance one's discriminative faculties? I am reminded of the Beatles experience in Rishikesh with the Maharishi's apparently more carnal expressions of crazy wisdom. When the Beatles decided to leave because of this, The Maharishi asked John Lennon(their spokesman) why they were leaving. To which JL replied "well you should know why if you really have f----ng Cosmic consciousness"( Who had the crazy wisdom there?!) 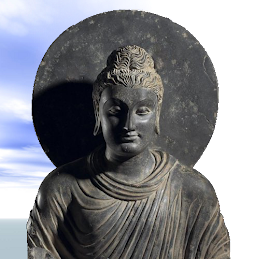 I have heard many claims and counter claims about the so called efficacy of esoteric Buddhism and Tantric Buddhism's claims about being the superior way or short path as the case may be. However if we are looking for claims about expedited forms of practice that may bring results quickly we need look no further than the good Ol' Satipatthana Sutta where the Buddha makes the claim that if the aspirant wishes to apply him or herself assiduously to the practice outlined therein then one can expect very considerable results or perhaps even supreme enlightenment in as little as seven days. Was this a statement of the Lord Buddha's "crazy Wisdom" perhaps?! But seriously, this is the only claim of anything like a temporal certainty of great progress anywhere in Buddhist literature and of course it is thought to be sourced from the Buddha's own mouth! So cultivating The Noble Eightfold Path (Sattipathana) really seems to hold the highground here but who ever really discusses this, let alone practice it, quietly and diligently. I am sure there are many who fall prey to some charismatic individual who seems to have "the answer" but of course the Buddha said that his teaching was an exoteric teaching, nothing with held. This is truly for those with "little dust" in their eyes, unadorned and in plain sight as it were. There are, fortunately, several other instances. @Brahmavihara - I once actually took the Satipathanna Sutta's claim literally and practised very hard :) Well, I was disappointed that I did not become "enlightened", i.e. the kind of enligtenment I expected. But I did experienced very significant psychological transformation, like shaking off not a few "neurotic" states and phobias. For these I am ever grateful, and I am always trying to encourage people to try mindfulness meditation, etc. Dear Walter, thanks for your interesting comment. The Satipathana Sutta gives possible time-frames for enlightenment from seven days to seven years, “if you practice as I have taught”. Perhaps the Buddha should have added “and given your psychological dispositions”. However, in the meantime, we can, as you apparently did, untie some of out psychological knots which in itself would be a major achievement. However, I think the “within seven years/days” thing is not meant to be taken as an exact measurement but as an encouragement. One should sometimes separate the Guru's spiritual accomplishments and his/her behaviour. Some of them could very well have vast spiritual attainments, but also fail miserably as a human. Think of this; a person who is very well respected with good integrity wins public office. After some time, he's elevated to the highest level, then he begins to change because power corrupts. He takes on a tyrannical manner. Absolute power , absolutely corrupts! So then what happens, do we still want this sort of person as our Guru? This person has failed his final 'test'. How many venerated Buddhist masters throughout history has a tyrannical, bullying and boorish behaviour? Sexual tantra, poor observance of the Vinaya Pitaka was what drove the great Tsongkhapa to set up the Gelugpa then. He, for sure would not have tolerated 'crazy wisdom' as it is spelt out today. The Gelugpa has no official Yogis in its ranks and Bhikkus are NOT allowed to practice sexual tantra. Whether this has deviated today...? 'Buddhism in theory, Hinduism in practice'. When it comes to Mahayana one has to tread carefully when it comes to Trungpa. Many get seriously ruffled if one mentions his great appetite for the good things in life. More than a few still adore him. I'd like it explained when the 5 Trainings became Commandments. My understanding of the Pali is that it very much says something along the lines of "I undertake, will do my best to fulfil", it never gets close to "thou shalt". As for sexual Tantra...the Buddha talks about sexual responsibility, he never once says that multiple partners or giving your sexual partners screaming orgasms are contrary to his teachings for Lay pratitioners. Dear Russell, you are quite right about the voluntary nature of the Five Precepts. Seeing their value both to oneself and others, and trusting in the Buddha’s judgment, a wise person tries to live by them. You are also correct in saying that having multiple sexual partners is not against the Precepts. But in the age of AIDS it would be the height of irresponsibility and bad judgment, as Osel Tendzin, Trungpa’s heir, and his sexual partners, willing and unwilling, found out to their cost. It could be said that Tendzin was doing no more that following the example of his teacher. Venerable: thus the section about sexual responsibility. It's called wearing condoms. Mudra? Or was he just po'd at someone? I don’t think what you think of a teacher has to be placed on (blind) faith. The problem is, that "crazy wisdom" can be abused to excuse or cover up short comings and sell these as wisdom. This would be indeed hypocrisy and a type of lie, fraudulent behaviour. I lack time to share more stories, but this lama attracted the most strange persons like a former soldier from the Légion étrangère who had the rear of his car full of weapons – you might infer from it what this man had in mind and what a personality he was. But this lama was able to benefit such people. That’s why I have respect for those who have true freedom of mind and can perform such deeds only in order to benefit others. True "crazy wisdom" doesn’t harm oneself nor others but is of benefit, and I think this can be observed and there is no need to rely on blind faith. The problem nowadays seems to be that less realized teachers claim to have inner freedom and excuse or sell harmful deeds as "crazy wisdom". "Historically, although some Buddhist saints have acted with strange modes of ethical conduct, they were fully realized beings and knew what was of long-term benefit to others. But nowadays, such conduct is harmful to the Dharma and must be stopped. Even though one’s realizations may be equal to those of divine beings, one’s behavior must conform to convention. If someone says that since everyone has Buddha mind, any kind of conduct is acceptable, or that teachers do not need to follow ethical precepts, it indicates that they do not correctly understand emptiness or cause and effect. Everyone is accountable for his or her behavior. For someone with full realization, ingesting urine, feces, alcohol, and human flesh are all the same.² But if those Buddhist teachers who ethically misbehave were to eat feces or drink urine, I doubt they would enjoy it! The practice of tantra is never an excuse for unethical behavior." 390I was a student of CTR for some years. After a while what was becoming clear about his behaviour was for me unsustainable in terms of my continued loyalty. I left his Sangha, and eventually after several decades I left Buddha Dharma behind. For me Trungpa's behaviour became a wake up call in terms not simply of the Guru/Student relationship, but in wider terms, to whit, the whole shaky and adolescent edifice on which Buddhism is built. PeterB, Trungpa as a teacher, is not the best example. Some people and teachers have an amazing knack for (cold reading) and sum people up quickly and will exploit if allowed to do so. There's still a few genuine guru's and monks around that teach quietly and without fanfare. My taking leave of Buddhism was exacerbated, but not caused, by contact with Trungpa. In fact I owe him a debt of gratitude. PeterB, So why are you on a Buddhist forum? What happened after you left Trungpa, did you go through a lengthy dry spell? It happens to many and it can take months or years to find your feet again. I hope you're no longer jaded and have found contentment. I have found fulfilment in the Orthodox Church. Why am I on a Buddhist forum ? I came here via a link to another forum. I have made my point and will leave it there. PeterB, A quick last word, you obviously have a strong devotional leaning. Its all good. If you judge, then you do not understand. If you understand, you do not judge. Most of the major figures from Tibet validated Trungpa as a teacher, even conferring the title Vidhyadara on him. Some random blogging monk may dismiss him, but the Karmapa did not. Why is it that every Chogyam Trungpa article I read on a blog ends up in some commentary on his morality? To me all of these rushes to dismiss and judge say more about our shadow and our psychological boogie-men than it does about him. It says more about our desire to separate holy from non-holy in this world of corporeal embodiment. Does the west understand tantricas? The relationship established between methods of experience and unsettling oneself for growth/furthering-emptiness? The only reasonable answer to all of these intrigues and concerns about tantra is to stop pointing fingers and to look into oneself.